Get S.M.A.R.T and save your data BEFORE you lose it! One of the things we strongly advise our clients to get on board with is proactive monitoring of all their systems with our managed services. With this service, we monitor all systems for a long list of parameters including Antivirus software updates, Security Patch updates, system performance and when capable, S.M.A.R.T monitoring of hard drives. "S.M.A.R.T. (Self-Monitoring, Analysis and Reporting Technology; often written as SMART) is a monitoring system for computer hard disk drives to detect and report on various indicators of reliability, in the hope of anticipating failures. When a failure is anticipated by S.M.A.R.T., the user may choose to replace the drive to avoid unexpected outage and data loss." Recently, Brian rescued a client's system when he received a SMART alert that the hard drive was showing signs of failure. Rather than waiting for the drive to fail, and potentially risking the client's data, we went ahead and initiated the the process to replace the drive. The system was still under warranty with Dell, but the problem was that the drive hadn't failed yet, so initially they wouldn't proceed with the warranty replacement, and Brian replaced the drive. In regards to hard drive replacement policy, Waiting till the hard drive FAILS is NOT a good policy for Helping customers. In our case we use remote monitoring and management software that is extremely reliable and efficient at reporting errors, and when is a SMART Error you need to take notice. 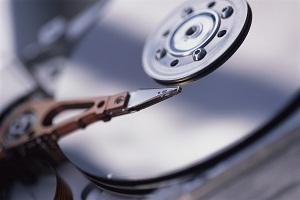 We have provided our services and resources to take care of YOUR Customer and ours By acknowledging that an ERROR from SMART needs attention and should never be taken lightly we purchased an identical replacement drive, was able to quickly and efficiently save the customers data and get them back up and running with no loss. Any customer regardless of how many computers they purchase, from 1 to 10,000 are equal. Waiting for the hard drive to fail is like closing the Barn doors after the horses have run off, it's too late. I have been a PC/Server tech for over 20 years and I know how hard it is to repair an intermittent problem But when reliable monitoring tells you there's a problem, there is a problem. Computers know 2 things. 1's & 0's. And as you know if one of them is out of place.. problems happen. People can hide what their problems are, computers can't. Preventing a Problem from happens before it happens is GOOD for Business for Both of us. I hope you would consider replacing the hard drive, I see the Man. Date is either 6/2012 or 8/2012 and the SMART reporting started to show a problem on 01/28/2013 04:25 AM. I have the Hard drive ready to ship. Dell eventually stepped up and honored a parts replacement of the hard drive and shipped back a drive. Being proactive saved the aggravation of a failed system and potential data loss. Even with an almost brand-new system, a hard drive can fail (in fact, if you think about a disk spinning at 7200 RPM, it's a miracle that any hard drive can work!). Hard drives are the most common failure point in PCs, and proactive monitoring is definitely advised.